Bio-Identical or “Natural Hormones” are created in speciality compounding pharmacies to exactly match your body’s natural hormone structure and production. Bio-identical hormones are designed to be an exact match, essentially the same as the hormones naturally produced in your body. Bio-Identical hormones are safe, effective, high quality and low cost. Synthetic hormones are manufactured by pharmaceutical companies to mimic natural hormone benefits, but the molecular structure of synthetic hormones is altered so that they can be patented, and given a brand name. This provides the pharmaceutical companies a unique drug that allows for specific control of sales and marketing. This usually comes with increased cost and side effects. 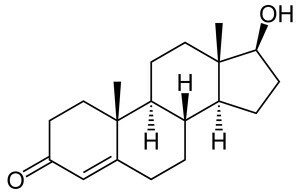 The slightest synthetic alteration to molecular structure of hormones (synthetic) can result in unwanted side effects and harm to the consumer. If you have seen the news reports talking about the dangers of hormones they are talking about synthetic hormones, not bio-identical hormones. There is a difference! At The Phoenix Men’s Health Center we only focus on the use of Bio-Identical Hormones. Our natural hormones can be delivered to the body in many ways to meet patients needs including; pellets, injections, creams, and oral administration. All hormone balancing is done with proper blood work for initial diagnosis and assessment followed by additional lab work to ensure proper levels are being achieved to maximize results, while minimizing any side effects. The goal is to restore your natural hormone levels to optimal balance, increasing your level of health, energy, body strength, libido, and overall mood. You don’t have to feel old, tired and run down. There are many options and solutions that may be able to help. Take this opportunity to find out how bio-identical hormones can help you. It’s time to feel good again. “Bioidentical hormones that are approved by the FDA may be preferred over standard hormone replacement because of their physiologic benefits and safety profile.” J Am Osteopath Assoc. 2011 Mar;111(3):153-64.